Police dogs praised at pooch fest in Nepal | We Seek the Truth! 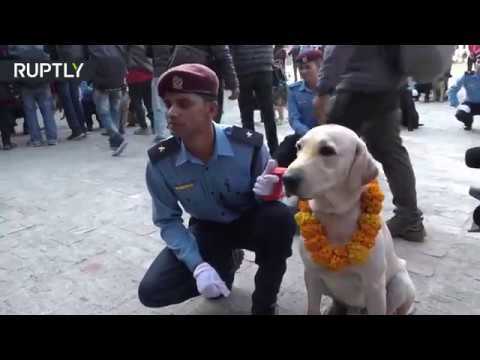 Nepalese police celebrated Kukur Tihar, or the festival of dogs, at the Central Police Dog Training Centre in Kathmandu on Tuesday, by showering praise on the officers’ loyal companions and acknowledging their role in providing security. The dogs went through a showcase of obedience skills, before officers decorated them with vermillion powder and garlands of flowers, and offered them some tasty treats. Kukur Tihar is celebrated across Nepal to mark the second day of the annual Hindu festival of Yama Panchak, which is devoted to the god of death. Ori Castle ~ Oldest Polygonal Masonry On Earth?